Pass the inhaler: this will have you gasping, and not in a good way. The sight of children, some as young as five, walking to or from their school wearing anti-pollution masks could soon be a commonplace on the streets of Croydon, following discussions at a council planning meeting last night. On the agenda was a pre-application proposal to build a primary school alongside the heavily polluted Purley Way – a site which the council’s own planning officials had previously rejected as being unsuitable for the four-form-of-entry primary wanted by the sponsoring academy group, the Harris Federation. The same site had been abandoned as unsuitable for young children five years ago, when the previous schools there were closed and moved to a less polluted environment. Such is the official concern about the poor air quality along the busy, four-lane A23 that the plans submitted last night even include a scheme to seal off parts of the building from the outside world and have the school “internally ventilated”. And here’s another sentence you won’t have seen on Inside Croydon much in the past: Croydon Conservatives agree with this website. Jason Perry, Croydon Tories’ lead on planning issues, opposed the proposal, saying that “the council had come full circle”, since it was just five years since the then Conservative-run council closed Waddon Infants school and relocated the Red Gates school away from the traffic jammed A23, to the cleaner air up on Monks Hill. The site, left derelict since Waddon Infants was merged with Aerodrome Primary on the Waddon estate, was ear-marked for school use in the “Waddon Masterplan” drafted under the previous Tory council. Despite not yet having planning approval, Harris has already issued literature publicising its intention to open on the Purley Way site in September 2016, with a school which will accept children from central Croydon as well as locals from Waddon, initially using temporary, Portakabin-style accommodation. Having had their ideal of 120 children per year group rejected, Harris is now pitching for a slightly reduced, three-form-entry school. But at last night’s Town Hall meeting, Councillor Perry slammed the site as “not appropriate” for the school and derided the proposed design as “bland”. Perry singled out council education staff for criticism for having no information on what the demand was for other schools in the locality that might justify placing a school next to the Purley Way. These concerns over the lack of numbers justifying the scheme were repeated by Pete Smith, Croydon council’s senior planner at the meeting. Harris has stepped in as the sponsor of the primary after Oasis pulled out in poorly disguised disappointment at the council’s decision to abandon other, more expensive proposals to build the school at SEGAS House by the Town Hall, where parking for parents would have been very difficult. At last night’s meeting, even the council’s education team conceded that the Purley Way site – opposite the Wing Yip Chinese superstore – was “not the most perfect location” for a school. Joy Prince, the Labour councillor for Waddon ward, expressed her concern about the effects of pollution from vehicle exhaust on young lungs. Officials tried to claim that the air pollution monitoring station – which is coincidentally positioned on the site proposed for the school – put pollutants at the “upper end” of legal limits during rush hour traffic.Prince questioned what greater impact this might have on the health and well-being developing young children. Having the school on the Purley Way would, of course, also see an increase in traffic on the already busy road, with an estimated additional 1,000 car journeys per weekday to bring many of the 540 pupils and staff to the school gates and take them home again. With the school intended to satisfy the additional school place demand expected from major flat developments in central Croydon, which the original SEGAS House proposal was meant to meet, councillors expressed their concerns about extra parking and traffic pressures. The nearby Fiveways junction is a twice-daily traffic jam already, and council officials admitted that it could not take any more traffic, though they tried to suggest that Transport for London’s latest proposals – including the Boris Flyover for the A232 – would make this less of a problem. In the submission for the school, it was suggested that the worst of the air pollution locally could be mitigated by the front part of the building, including the dining facilities and school hall, being sealed off from the external atmosphere with special ventilation systems, while the children’s outside activity and play areas would be placed further back from the Purley Way. 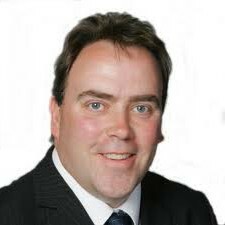 Paul Scott, the Labour group’s chair of the planning committee, wanted a “zero drop-off” policy at the school gates. The solution to this demand by the council officials was an agreement with the Morrisons supermarket at Fiveways to allow parents to drop off in their under-used car park, from which “walking buses”, children walking in crocodile formation, could be arranged. Thus the “zero drop-off” policy will see the school parking displaced by just a couple of hundred yards up the A23, before the children are expected to cross Fiveways’ junction and walk alongside the clouds of vehicle exhaust before crossing the A23 itself to get to the school. Hardly a healthy daily exercise regime; perhaps the council should insist as a condition of building the school that Harris should publish annual figures of inhaler use by its Purley Way pupils, before and after they start to attend. 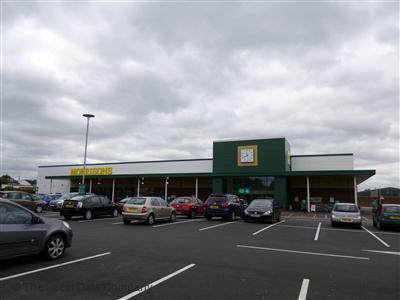 The council’s education staff told the meeting that they felt the Morrisons solution would bring benefits to Morrisons as well with “all sorts of marketing opportunities”. For parents and carers the certainty of a parking space at Morrisons was “more attractive than trolling around local streets looking for parking spaces”, the council’s transport consultant advised. Options for parents to walk their children from home to school, or for pupils to be able to cycle safely to their school, were never mentioned. Perry was not convinced by the Morrisons solution and expected that people would instead park closer to the school, on residential roads, when banned from parking near the school. Perry dismissed the drop and shop proposal as unlikely to work “when it’s raining in winter months and when it’s dark”. There were mutterings, even some amused laughter, from the public gallery at the obvious flaws in the whole project, and some bemusement that these cannot be seen by council staff and some councillors. It seems very likely, however, that the council and Harris will use another consultation con, by staging events at short notice and at inconvenient times and locations, and then claiming a lack of opposition to a scheme that few local residents have ever heard about. Last night, Croydon’s leading education official introduced his presentation by stating triumphantly that the public consultation held earlier in the day at Waddon Leisure Centre had drawn a derisory six visitors in the three and a half hours. Which is exactly the result you get when you under-publicise an event and run it during working hours on a weekday. This entry was posted in Croydon Council, Cycling, Education, Environment, Harris Primary Purley Way, Health, Jason Perry, Joy Prince, Parking, Paul Scott, Planning, Property, Purley Way, Schools, Segas House, Transport, Waddon and tagged Conservative, Croydon, Croydon South, Harris Purley Way Primary, Labour, Purley Way, Tory, Waddon. Bookmark the permalink. To build a school close to Fiveways with all its peak hour congestion has just got to be one of the worst ideas if one is serious about managing traffic. I have 23 years experience of driving to Croydon in the rush hour and it was so much easier during school holidays. Use of Morrisons will only encourage more parents to drive. It is so disappointing to see masks on children’s faces,as it betrays such woeful ignorance of what pollution is.Damaging gases (Noxes and ozone) pass through these masks unhindered and people will slowly become aware of the NANOPARTICLE problem now current IN RESEARCH.”They have never been on the planet before” says Professor Kelly at King’s (+24mins>).They behave more like a gas than a solid. These detailed toxicological studies back up the classic,large scale Harvard six-cities studies of the 1990’s. but they have never been used anywhere in Britain before for this purpose,and would add very considerably to the budget,without protecting children on the school journey. Everybody needs to get serious about this problem,of children and their younger brothers and siters walking to school.Like your photo,the policy is a sick joke! With air pollutants already at the ‘upper end’ of legal limits during rush hour, the added pollution from expected cars/delivery vehicles from the south going to/from the shopping centre (not all will come/go via Croydon Road), from staff and parents bringing their children by car to/from the proposed school, especially from Central Croydon, and even more from all the heavy duty lorries with waste going to/from the incinerator from various directions, and the resultant worsening traffic jams, this will surely considerably exceed the legal limit. Are parents likely to want their children walking anywhere near Fiveways, let alone crossing there? Why are Harris so determined to have yet another ‘feeder’ primary school, ignoring all the disadvantages and possible health problems for children? Could it be they need more pupils for their secondary schools that they claim are oversubscribed and popular? According to the recently published DfE Performance Tables, there were only 150 pupils taking GCSE/Equivalents at Harris Purley (Haling Manor as was). As the intake number per year is 180, where did the missing 30 pupils go? WE HAVE HEARD OF SICK BUILDING SYNDROME> SOON YOU WILL HEAR OF SICK CHILDREN-INDUCING BUILDING SYNDROME. I objected to this stupid planning disaster. Is it right to coop children up in a place without natural ventilation? For fresh air, they are going to have a tiny playground. THIS SITE IS UNSUITABLE FOR A SCHOOL. Get that HARRIS ?. YES, A SCHOOL ON THE PURLEY WAY IS UNSUITABLE FOR A SCHOOL BECAUSE OF POLLUTION. UNSUITABLE. WRONG. Now write that down a 1000 times, and remember it. T-O-T-A-L-L-Y WRONG. What –you don’t care?. Well, you should. Don’t you know that children need fresh air to grow up healthy?. You don’t care?. I fail to see why the council closed down Heath Clark School nearby several years ago–a school with large playing fields, and then flogged a chunk off for housing. Yes, that was totally wrong too. What is the world coming to.